Away from all the talk about Eminent, there is a second son of Frankel in the field trying to emulate his father, who won the Classic in such unforgettable style six years ago, in Dream Castle. 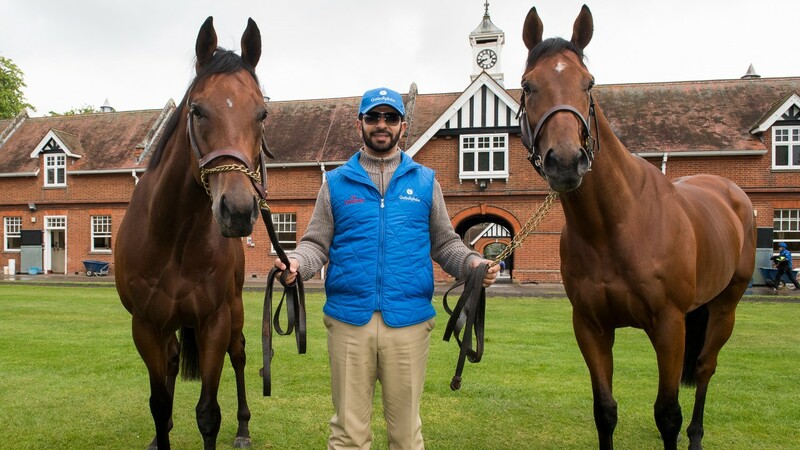 Just like Sir Henry Cecil's icon, Saeed Bin Suroor's runner even has his own pacemaker in Top Score, and the two could well have their own race on the stands' rail as they are drawn highest of all in nine and ten. Although Frankel himself eventually ignored his lead horse, Dream Castle is unlikely to do the same after running with the choke out in the Greenham Stakes, where he was collared close home by the reopposing Barney Roy. To counter his free-going tendencies, Bin Suroor has fitted his first string with a hood, and Dream Castle seemed to settle better in it in his latest workout on the gallops last weekend. The trainer said: "He ran free at Newbury. He was far too keen. Really, he was lacking experience. It was only his second race and Silvestre de Sousa has since come to ride him at home, with the hood fitted, and it is a case of so far, so good. I would like him to be nice and relaxed in the race." As for the likely pacemaker Top Score, Bin Suroor said: "He's improving all the time and I feel he acts on turf better than dirt. His last run [11th in the UAE Derby] should be forgotten." The Guineas field is completed by Law And Order, who James Tate is dropping back in trip after his recent third at the Craven meeting.